I had a marvellous old time, meeting some highly interesting characters, including members from far-flung places including Sweden, Switzerland, Kent and Canada. 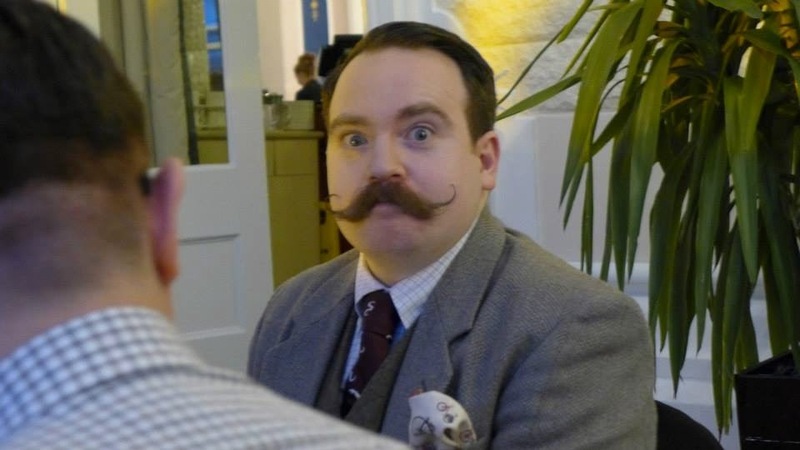 I must confess, it was rather surreal at times being surrounded by chaps sporting highly impressive lip weasels, whilst ensconced in very dapper ensembles. We stayed in The Palace Hotel, an impressive Victorian building set in lovely grounds. As funds were low at the time of making reservations and the distance from home to Buxton was a little over an hour’s drive, I opted to just stay on the Friday night rather than both Friday and Saturday. 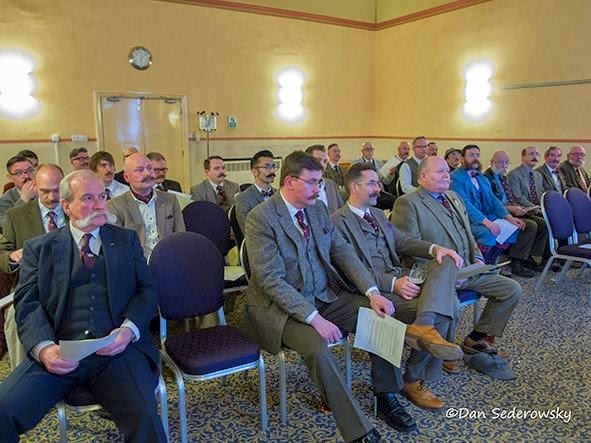 At 6 o’clock on the Friday evening, the Club members held the meeting to discuss all manner of important matters relating to the Club coffers, membership fees, any committee changes and lots more things that are far too top secret to reveal. 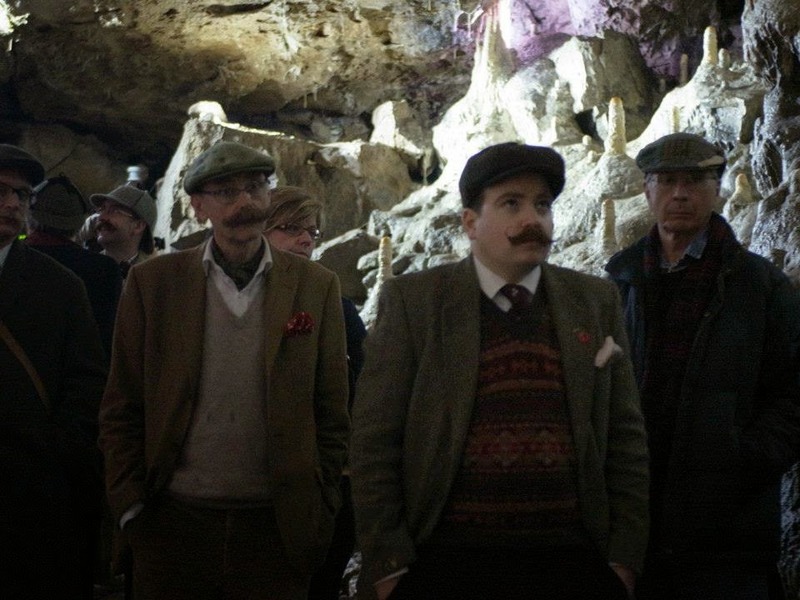 Then on the Saturday, our Club Secretary, Mr Steve Parsons, organised a visit to a cavern, before the local taverns were hit upon en masse by thirsty Club members. 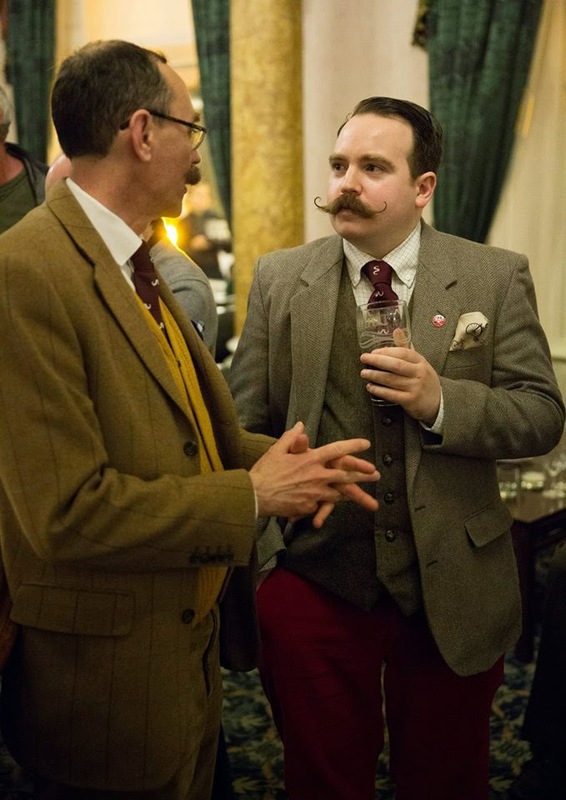 If tweed, moustaches and lashings of alcohol and laughs are your thing, I would highly recommend growing a nose neighbour and joining up! 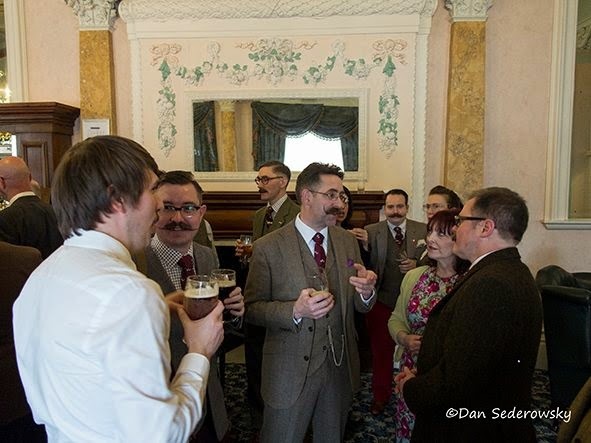 The Handlebar Club currently only has male members but there is nothing in their rulebook to stop hirsute ladies from becoming fully paid up. 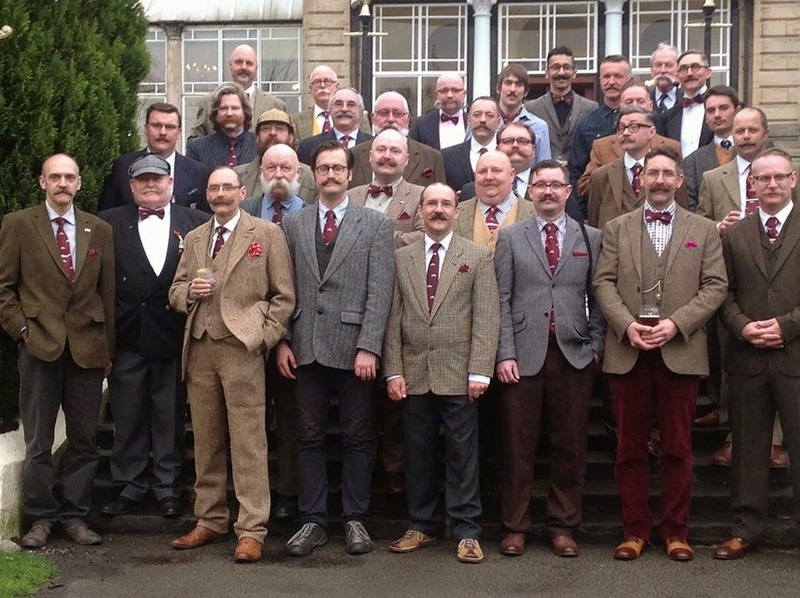 If you are not able to grow an over-sized soup strainer, perhaps encourage your loved one to rise to the hairy challenge and join the party as a plus one. Next year, I plan to stay for the whole weekend and make the most of it, bringing my beloved to join in the fun and frolics. I can’t wait!